Who isn't streaming these days? Just the other day I had my father call me to really thank me for setting him up on Roku as he's really enjoying the opportunities it brings that would otherwise be tricky to do. Roku ... it's so simple - it just works! Well, to enhance more things 'working' with Roku they've announced a new channel - the Olympics. So, now if you wanted to rewatch any Olympic moment or didn't want to figure out how to bring up the CBC page and do casting when the event is on, there's a dedicated channel within Roku to just watch. 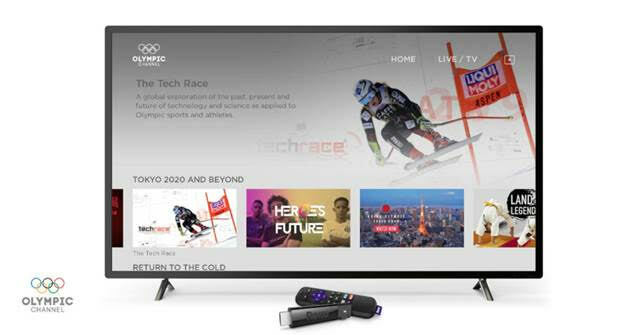 Roku keeps adding great content to their channel line-up and they have added to it with the launch of the Olympic Channel on Roku TV’s and Roku players in Canada. Fans of the Olympics can now watch their favourite moments from the Games all year round. The Olympic Channel features a 24/7 live stream and more than 400 episodes from the Olympic Channel library of original content featuring more than 50 series developed with best-in-class production companies from more than 25 countries. The round-the-clock streaming channel features original programming, Olympic Games event replays and other Olympic-related content. Other programming highlights include the channel’s signature sports documentary series Five Rings Films and original series like the Legends Live On. The Olympic Channel is available now for free and can be found in the Sports category in the Roku Channel Store. For more information and details on the Olympic Channel please go to this blog post here.